Lawrence Kasdan: From day one we had discussed Han, when he was an infant. Jon had grown up in a household of Star Wars, Jon had enormous enthusiasm for Star Wars, and for Han, particularly. 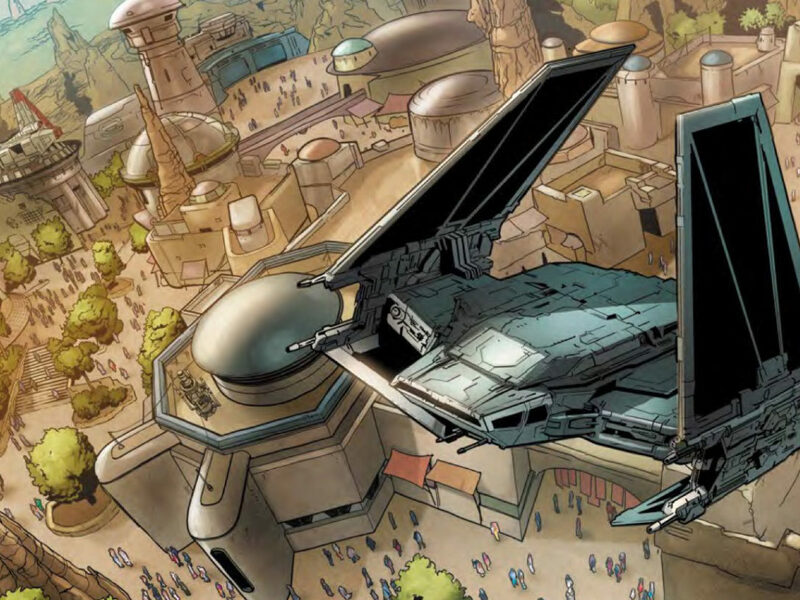 You know, a few weeks after I’d gotten involved, Disney bought Lucasfilm. Everyone was shocked. I was shocked. No one knew it. I’m telling you, two weeks after I went up to see them for the first time or something. So George was really out of it now, but I said to Kathy, “Look, I don’t know if I want to write another one. I’ve just spent all this time on Force Awakens.” But Jon was with me and he had enormous enthusiasm and ideas and he reawakened in me everything that had gotten me excited when I first started, about how much I loved this character, and that the movie could be different from any other Star Wars movie ever, that it could touch on many of the genres that both he and I like. Film noir, Westerns. But more important for me, I thought it should be the most character-filled Star Wars, and Jon really encouraged that and he said, “Look, your dream is possible, and let’s talk about some of the things that would make that that way.” And at that point I said to Kathy, “The only way I can write this is if I have this inspiration, this collaborator,” and Jon was then brought into the process. And then a very funny thing happened, which is that for Jon’s 35th birthday, my wife Meg and I took him to Rome. We all three went to Rome, where I hadn’t been in years. 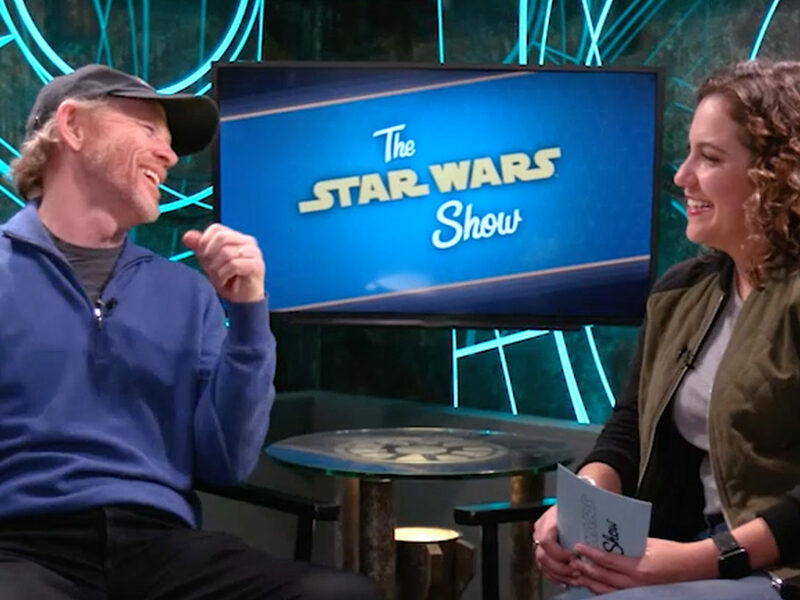 We had a fantastic visit in Rome, and the idea was that we would go back through England, Meg would visit the set for The Force Awakens, Jon and I would stay for a week, just watch the thing because it was so exciting — the first new Star Wars! 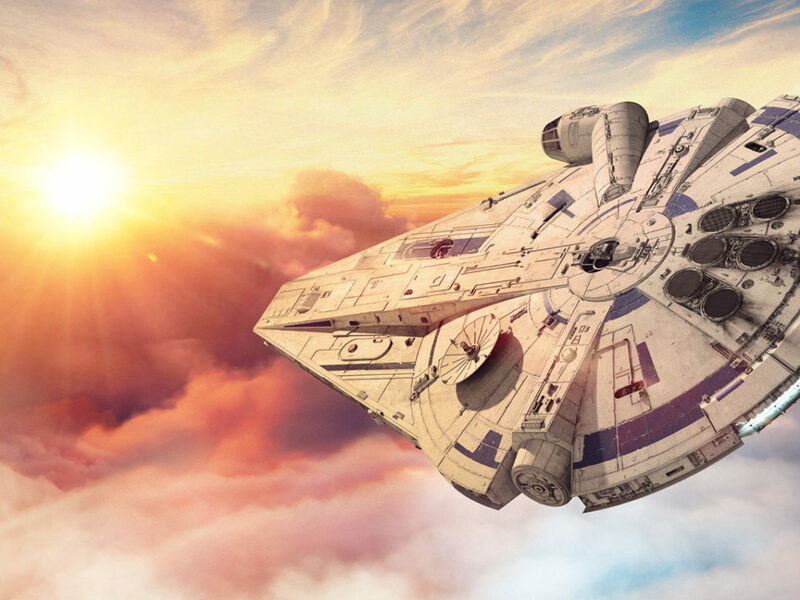 Jonathan Kasdan: Also, it’s worth acknowledging that both of us, while we were excited about Han, they had several spin-offs in development and sequels and such. And ours, Han, was not the first story or even second in the order of stuff that they were planning to do. So neither of us knew how long we would be on Han as a script, or if it would ever see the light of day as a movie, and we sort of saw this as an opportunity to spend a few days on the set of a Star Wars. You know, to get ourselves inspired, with the whole awareness that, you know, Han could very easily not happen or not happen with us. Lawrence Kasdan: So we stopped by, this was in the fall of ’14, and yeah, we thought we’d stay for a week. But instead we stayed for a month. And we started writing. So now all of a sudden, not only am I right back writing with J.J., because we’re changing the thing all the time, Force Awakens, but Jon turns out to be this enormously valuable asset and became very involved in some critical scenes of Force Awakens, and was absolutely pivotal, and major, in the details of the scene where Han dies. So Jon, right up ahead the road, he knew he was going to jump into the youth of Han Solo, but ironically and sort of movingly to me, he became very involved with J.J. and I in the death of Han Solo. And it was a very emotional moment for everybody on the set when that was going to happen. 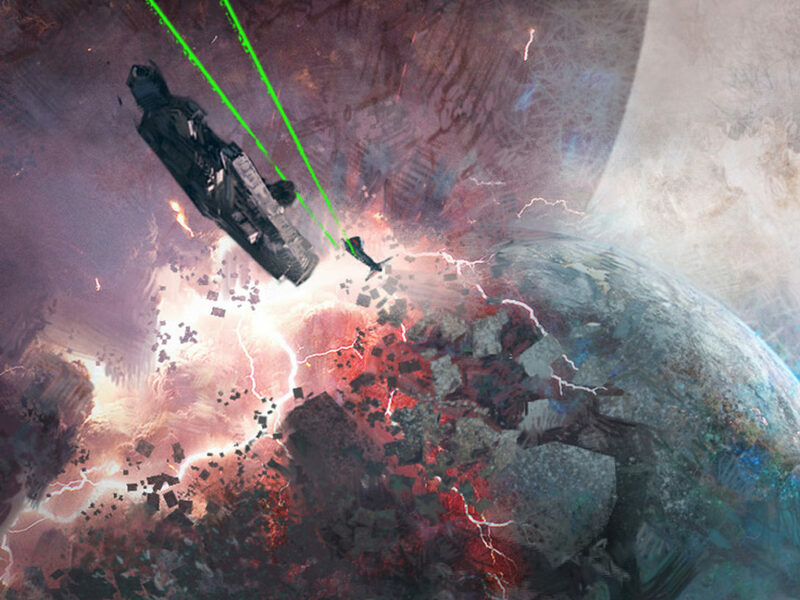 There was a lot of other stuff that Jon was there for, including when Han comes back on the [Millennium] Falcon, because that was all being shot after Harrison had been hurt the first time. A lot of stuff was being reshot. Jon saw a lot of that. So right for a full month, J.J. and I are writing with the full help and support of Jon. It was crazy. Jonathan Kasdan: I mean, I will say, in answer to your question, one thing that did happen was that when you got to the set — and I wasn’t there for the very beginning of the shooting of the movie, but I was getting constant reports and then I arrived there towards the middle of the shoot, and we were there for actually a little more than a month, we were there for about six weeks. You could feel that there was a very powerful thing happening. You know, obviously no one knew it was going to be the most profitable movie of all time. But you could feel that this was a rare and singular event. And with Harrison being back on the set, in that costume, with that gun on his hip, was a really powerful thing to see and to be a part of, and really was the support that Daisy [Ridley] and John [Boyega] needed in order to carry a new Star Wars movie. So as we were shooting it, and even as we were writing it and watching it happen, I think there was trepidation. There was no wavering. Everyone was always ready to do it. But there were moments, certainly, where we thought, “Man, I can’t believe we’re losing Han. He may be the coolest thing about this.” And what Larry and I knew, and no one else really had internalized to the extent that we had, was that we felt there was more Han in the future, and it would take on a new, very fun incarnation. And that was part of what helped motivate us into writing the script. Jonathan Kasdan: The other thing that I think came out of that worth acknowledging was that, you know, Larry is one of the great — my dad , it’s always crazy to know how to refer to him — Larry is one of the great writers of Star Wars that’s ever been. He and George are really the super class of that thing. And it’s a challenging kind of thing to write, it’s something that — you know, everybody wants to write a Star Wars movie, every filmmaker who comes at it, you can see them literally throwing themselves at Kathy like, “Give me a Star Wars.” And I’ve found that they’re surprised by just how tricky a sound it is to hit. And I found it too, myself, as a newbie. Getting to spend those six weeks in the trenches with J.J., Larry, and more importantly, getting to work on the scenes and then hear them on the set, spoken by the old guard actors like Harrison and the young guard like Daisy and John, and literally be on the ground with it, is the kind of education, trial-by-fire experience that no one really in the history of this thing has gotten but me. And it’s put us both in a position to sort of write it with some feeling of like, “Okay, we know kind of how this works a little bit, you know,” and what will fly and what won’t fly. It was an invaluable crash course in writing something that is much more elusive than I had ever imagined it would be. 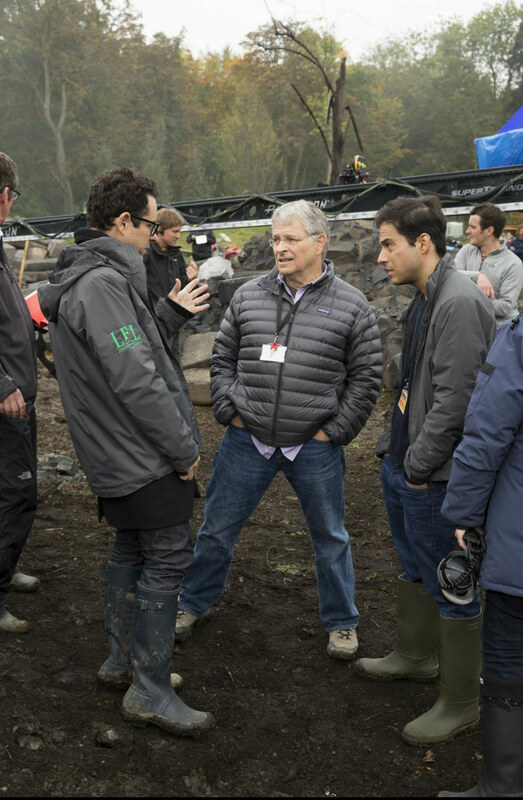 Lawrence Kasdan: What is over all of this, the overwhelming theme — both for the saga, which has lasted for 40 years, and for my involvement and then for Jon to come in — it’s a saga about generations. It’s a saga about passing the torch. It’s a saga about mentoring, and who guides people, and where do people learn how they do their thing. There was enormous resonance for us. Jon had already directed two movies, and he had moved into the business on his own; started very young, so he wasn’t learning the first thing, but what he was entering was the world of Star Wars, and nothing can be more resonant in Star Wars than generations handing on their wisdom. It doesn’t have to be father and son, but inevitably there is a father figure and a son figure. Suddenly, we’re writing it then. Lawrence Kasdan: You simply can’t overestimate the impact of that. Just to give you a little history, I started out writing alone, and then I began having collaborators. Barbara Benedek on The Big Chill, and then my brother on Silverado, my wife on Grand Canyon, and I have had nothing but good experiences collaborating with people that I either knew already or came to know. But when I told people I was going to write Han with Jon there was a kind of wariness people would express to me, which is, “You know, father and son, that’s really dynamite, delicate minefield area.” And I said, “We know, but I really want to do this with Jon and he has enormous energy and ideas for this.” And over the course of the next three years, which we did not anticipate, that it would be a three-year journey — I’ve never spent three years writing something — and we went through a brief moment of getting used to each other and there were brief moments of discomfort. But when we found our rhythm, it became this enormously satisfying thing that after a lifetime of sharing not only family and love, but a love for movies, we were able to work together for three years and still be in love with each other. You know, it’s very challenging. That aspect of father and son never left the room. 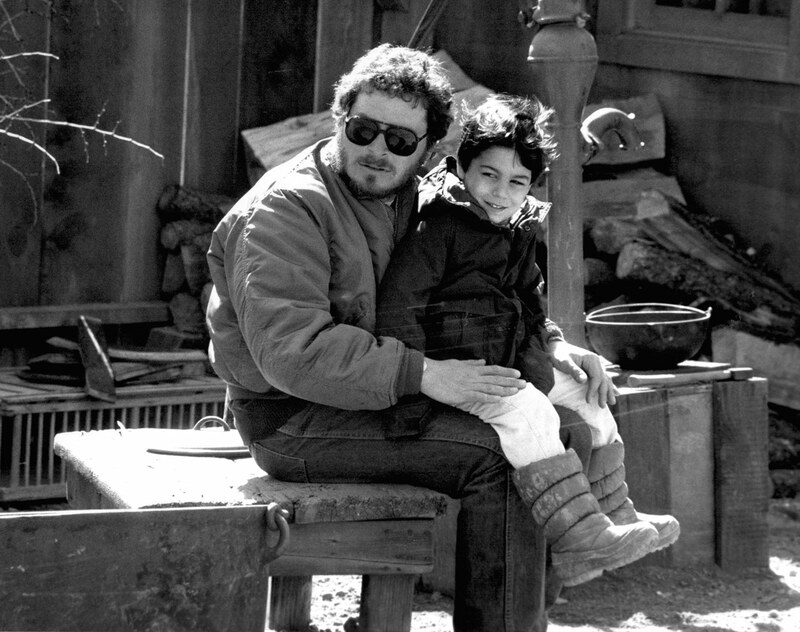 Jonathan Kasdan: You know, what also invigorated, and I think was an incredibly positive part of that dynamic between my dad and I, was when Ron [Howard] came in, who we both responded to in the same way. You can’t help but be completely in love with Ron. He just has the most welcoming, warm, creative, supportive, inclusive attitude that any filmmaker I’ve literally ever met has had, and he invited Larry and I to the conversation. I was with him through the entire shoot and we were able to have a dynamic between the three of us that really worked. It was like having two great father figures, because these are two legendary movie minds who are incredibly respectful of me and the ideas I was suggesting, but also came at it with this enormous authority, and they sort of freed me up to suggest something and to have it get checked out, or have it be, “Yes, that’s a great idea!” And between the three of us I think we really found a rhythm that really served us well. Hopefully it served the movie, too, but certainly it created a totally fun environment in which to make a movie. 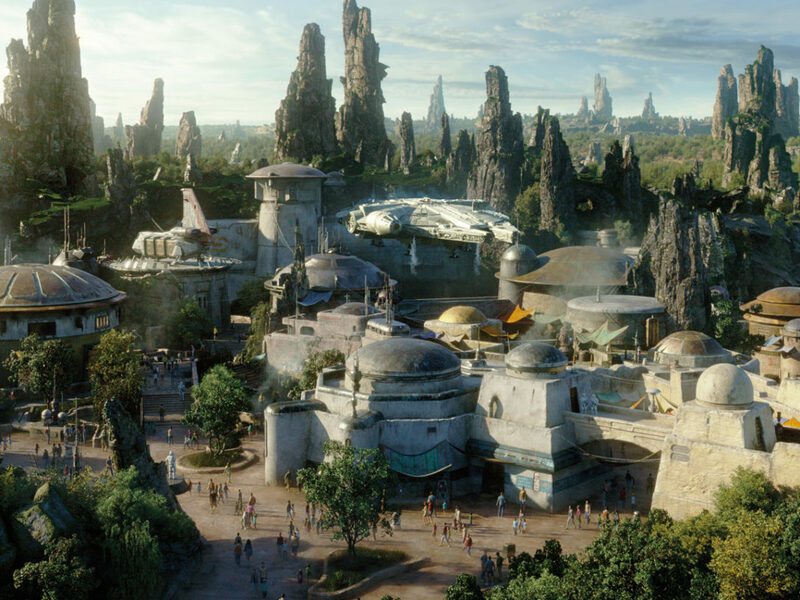 Jonathan Kasdan: It’s the central role. What you’ve done is you’ve sort of beautifully encapsulated the movie we wanted to make, which is it’s about this dichotomy in this guy, between his sort of external attitude, bravado, confidence, and his deep soulfulness and connection to people. And we thought, “Well, this is what works about him in the trilogy.” We’ve seen it, and what’s exciting about this movie is to tackle a whole new set of relationships and one or two of the ones we already know, and see how he was always sort of this guy who was struggling between these two things, between his very big heart and his stubbornness and his attitude. Lawrence Kasdan: Yeah, he’s a reckless guy. And that means you can be reckless with your relationships. It means you can be reckless with your life, sort of fearless, and you always weigh the possible downside of things. But when it comes to people, surprising even himself, he cares deeply. And that is really what happens in A New Hope, Empire, and [Return of the] Jedi. Someone who pretends or thinks, even to himself, that he can’t be invested in anyone but himself. He has his sidekick, his friend Chewie, but besides that, everyone is suspect. And yet when push comes to shove, he shows up for the people he loves. And Jon and I wanted to know, where did a guy get that attitude toward life. What formed him? Jonathan Kasdan: And more specifically, how much of it — and it’s a question we ask of ourselves in life — is nurture and how much is nature? The movie really tries to explore both those things, which is like, how did the relationships he had when he was younger inform his character, inform the character that we know and sort of primally recognize when we see those movies? And how much of it was in him inherently? How much of him could not walk away from someone in trouble, could not not want to find connection and love and, you know, all those things? Those are primal things and yet the relationships he has and the heartbreaks he suffers over the course of our movie inform the character in major ways that I think fans who are interested in that element of it, in character, will recognize very clearly. 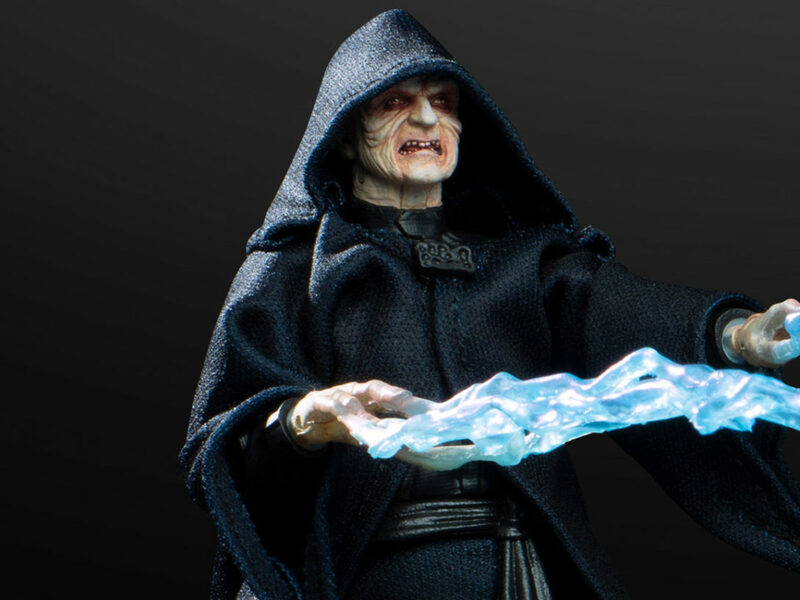 It’s something like, “Well, okay, I can see how this guy got to be just quite as cynical as he is.” You know, there’s also a big chunk of time between where our movie ends and where we meet him in Mos Eisley, so there’s more on the way in terms of forming him. But I think the movie does a lot to speak to, “Well, okay, I can sort of see how this is all on a continuum of a guy.” And it leads up to the moment [in The Force Awakens] when he has to try and reach out and try to save his son, even when he knows it’s probably hopeless. We got very lucky when we got Woody Harrelson to play Beckett. Beckett is so central to this whole story. Everything we’ve said is in relation to a figure like that: a teacher, a father figure, a rascal, an unreliable narrator, an unreliable partner. And we got someone who could embody that duality perfectly, which is someone who pretends to be only bad, tough, and cynical, but inside is full of heart — and that doesn’t mean he’s always going to act in a good way. It means that he’s always interesting and Woody Harrelson was the perfect guy to play that part. And, of course, his voice is the voice I most want to bring to Star Wars always, and have tried to, which is the voice of someone who’s been through the mill and you don’t know what he’s going to do. Jonathan Kasdan: And then there’s the practical side to this too, which is Larry’s relationship to the trilogy as a writer of it. It sort of demystifies in a way that for me, and I’m guessing probably for you, too, it can never be. It’s like, those three movies are sort of holy texts, and beyond whether you like or love or disagree with certain elements of them, you think of them as being immovable objects. For Larry, as the screenwriter of Empire and Jedi, they’re two more scripts that he’s written and they’re scripts he feels certain things about. So there’s a dynamic between us, which is that I come at it as a fan who thinks of these things as sort of written in stone, and Larry who comes at it more as a dramatist, who thinks of them as tools he’s using. I’m more of a sort of Star Wars geek than he will, God willing, ever be. [Laughs] There was a dynamic between us of, like, is it okay to do a certain thing? Does it jive with the lore? How much of the lore are we going to be beholden to? How much are we going to go our own way? And I think in that sort of back and forth discussion between us, we arrived at the tone and the world of the movie. Jonathan Kasdan: [Laughs] No, I mean, I have sort of a casual familiarity with Legends canon, and with some of the stuff that happened there, and less specifically what the narrative decisions in each iteration of this work than with the sort of history of how these stories evolved from books and into comics and into toys and then into the cartoons and so forth, and the various different ways in which people have been interacting with Star Wars, and one of them is sort of profound. You know, [what] Larry and I talked a little bit about is that kids who are experiencing Star Wars — my nephews and niece and my dad’s grandkids have a very different relationship with it than even I do — and different allegiances and loyalties. 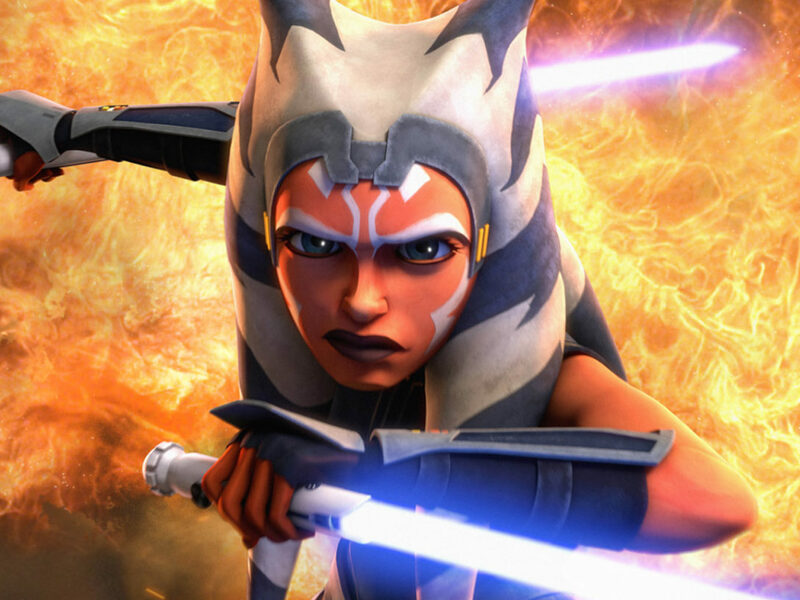 For a lot of kids, [Star Wars] Rebels is as big an entry in Star Wars as the original movies are for us. So it’s something to not necessarily be beholden to, but to be aware of, and to try to make a movie that could speak to all the audiences. Lawrence Kasdan: Jon has a background in that that I never had. There’s one other aspect of it that I think is interesting or fun, which is that when you win the Super Bowl or you win the NBA championship, the secret that everybody knows — it’s not much of a secret but it always is there — is that one tip of the ball would have changed the thing and you would not be the world champions. When you’ve written four Star Wars movies, you know how many times the things that seem like history were up for grabs ’til the last second. The tip of the ball in an argument in the writing room became canon, became religion to Star Wars lovers. It could have gone the exact opposite way! Jonathan Kasdan: He was always supposed to be there. I insisted that he be a bigger part of it. That was one of the things I had said to Larry when I got involved with it. I was passionate about Lando and I thought it was a fun part of it, because just for me personally, in every script I’ve ever written there’s been a character who’s been able to be the fun friend, and they aren’t burdened with carrying the narrative or with heavy drama. And it ends up invariably being the most fun character in the movie to write and then it ends up being the thing that when you go out and test the movie in Burbank everybody says they love. And I thought Lando was a great opportunity to do that. But what neither of us could have predicted and didn’t even know when we cast him, was the juggernaut that Donald would become, and that Donald would, in a way that certain stars do, transcend everything and sort of become the perfect match of a character, and a personality, and a celebrity, that really makes it something even bigger than Larry and I had even anticipated. 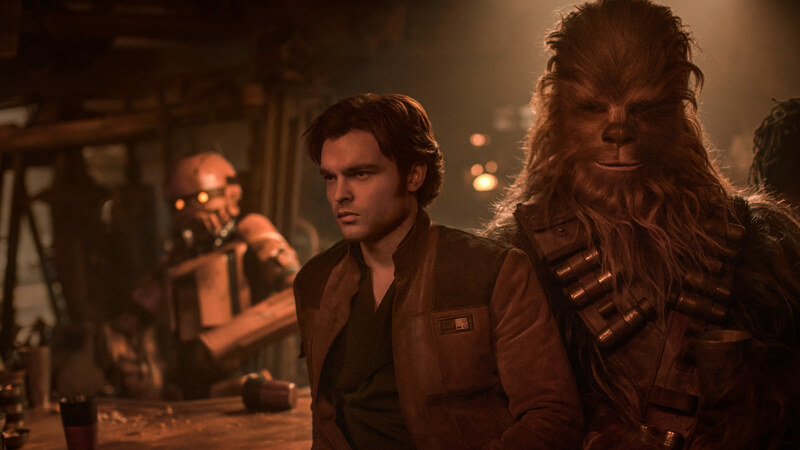 Jonathan Kasdan: Absolutely, and there’s something so powerful about the iconography of the things, that when you see this human being standing beside this Wookiee, particularly an actor as talented and versatile as Alden, it takes on enormous power. It’s like if you’re willing to accept this power, it will sweep you away. He would, you know… Listen. I think Disney read [many] people and Chris [Miller] and Phil [Lord] had brought it down to 20 people. For Larry and I, and even for Chris and Phil, there was never any question it was going to be Alden. He was just the guy. He was so clearly the guy. No one else really had a prayer. And that continued through the entire production, through the writing and rewriting. Both Larry and I started to write to things we felt sounded like the Han that was Alden’s Han. Jonathan Kasdan: Yeah, and it goes somewhere. Alden is a really sophisticated actor. When he read the script, I think he really got what we were trying to do in terms of having this have some arc, and having this guy experience some real betrayals and heartache. So where he starts out in the beginning of the movie and what he’s doing early on is different than where he ends up. And to see him make that journey over the course of the movie is very — in a way it’s a more nuanced version of the character than Harrison has ever given, because Harrison got to fill the role that I’m describing for Donald, for so much of these. 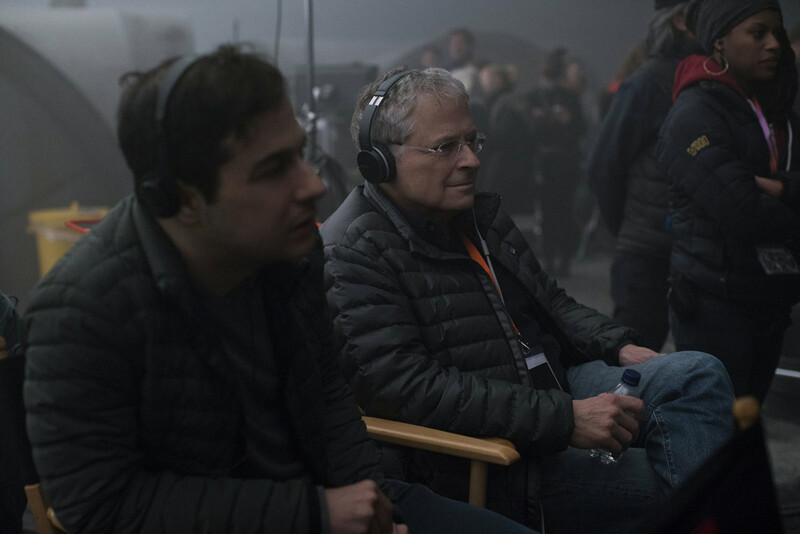 Lawrence Kasdan: When I took on the job, and Jon, when he joined me — I was dead set on this being unlike any other Star Wars movie, and you know, other people will judge if that’s true, but for me, that part has been totally achieved. 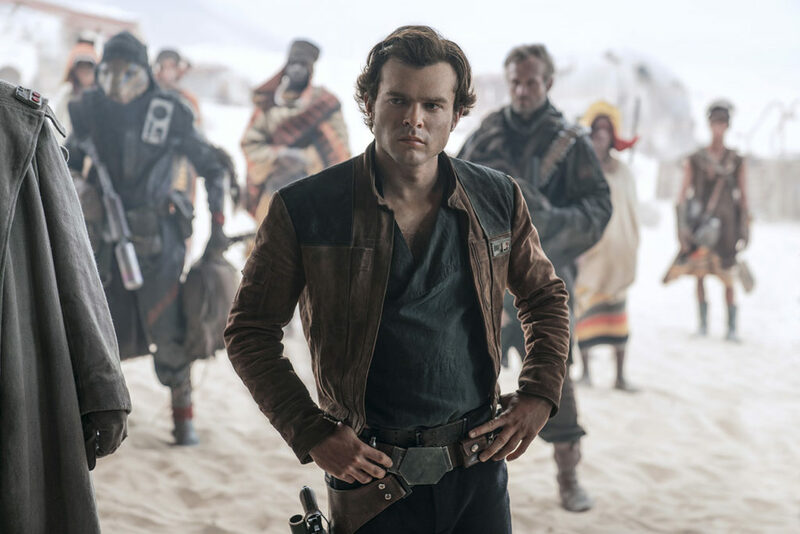 The rhythm and the focus on character in Solo is different from any of the other Star Wars movies, and there’s been great work done in the saga. But this is a story that comes out of old-time storytelling. It’s a story about someone being forged in the crucible of life, in danger, in violence, and in love — trying to find love in the midst of a very brutal world. And that has not been focused on with as much detail in any of the other movies. And my interest has always been on those characters. It’s never been on dogfighting in space. Lawrence Kasdan: Given that there’s no mention of the Force in this movie, that in and of itself sets it apart from all the other movies. This is not about Jedi. It’s not about religion. It’s about very human concerns. It’s not an origin story, as Jon so brillianty says. It’s a rite of passage. You’re not picking him up when he’s born and finding out that his parents were killed and that he’s shaped by that forever. It’s none of that. We’re seeing in process — and the audience is seeing in process — a guy in the prime of his youth. Young man, young adulthood being shaped. This is not an origin story, really. It’s about how a person is formed. And the great fun layering of this thing with the whole saga is we know where he went, what he did, and how he ended. We all know all that already. But now we’re going to see what was it that formed that guy and made those things happen later. I first said to Kathy, “I will do Han, but you have to understand. 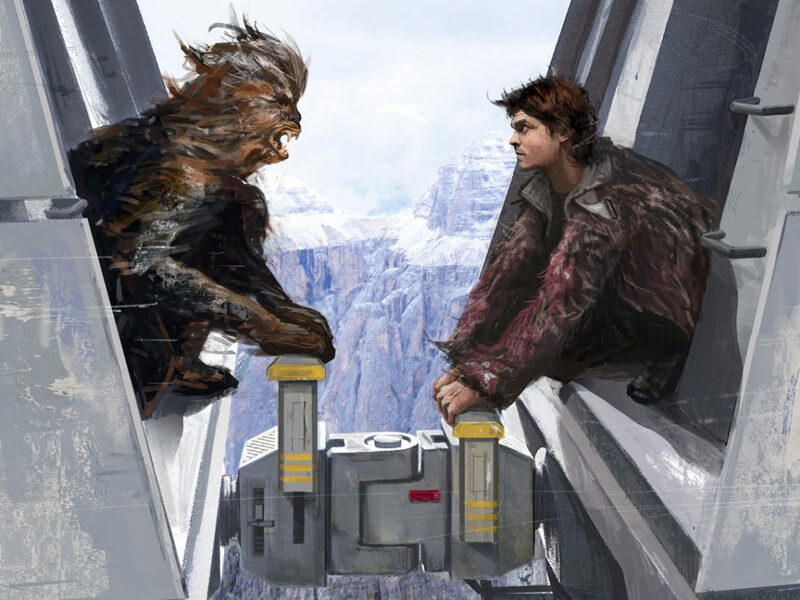 It is a love story about Han and Chewie.” This is the best friendship in the whole saga — the most reliable — and the most fun differences between them and what they represent. What is happening between them throughout the saga, and especially in this movie, is a deep allegiance to each other, but here we see how it’s earned. And we see that it goes beyond just trust, but into a kind of affection that infuses the rest of the saga and we see it happen here. And Joonas [Suotamo] is so great. Peter [Mayhew] was great. Joonas is young and athletic, and he turns Chewie into a real action hero. And what we’ve known since A New Hope is that Chewie has moments of cowardice, where he’s smart enough to know they’re in real danger. That happens in the trash compactor in A New Hope, and Han is always trying to calm him down, even though Han is the reason they’re in this trouble. That’s a wonderful dynamic and it starts here in this movie. Jonathan Kasdan: I mean, when he was sort of trying to sell me on this and doing it with him a little bit, I was saying, “What is it, though?” And he said, “Well, it’s a love story. It’s a Spencer Tracy/Katharine Hepburn love story but it’s between Han and Chewie.” I thought, “Well, that’s going to be challenging to write,” because we can’t understand what one of them is saying. And then it sort of occurred to both of us that one of the things we would do is we would write all of Chewie’s dialogue into the script, everything he says, so that Alden would know what he was saying, so that Joonas would know what he was saying, so it wouldn’t be sort of a vague thing, and they could really develop a banter, of which you’re only really hearing one side of it. It’s a fully formed dynamic and dialogue between them. Lawrence Kasdan: One other thing I think we should talk about, because it started with the very first impulses of this movie that magnified when Jon came into the project. I was saying not only is this a Western, but it’s a film noir. And the absolute center of a film noir is the femme fatale. So we wanted a woman in the movie who is unlike any of the other women who have been in Star Wars, and she’s modeled very much on — not just all the great femme fatales of film noir, but an actual aspect of human behavior is that there is a duality in all of us, that we can be in love and we can wish for the best in people, and yet our own selfish drives may influence what happens. That’s what film noir is really about, that there’s a duality in all of us. And very often the dark side of that duality will win out. We were absolutely delighted when we got Emilia Clarke, who we all worshipped from Game of Thrones, who could play what I thought was going to be one of the best women ever in Star Wars. And I adore Daisy, and I adore Carrie [Fisher]. I mean, I wrote a lot of stuff for those people, but I wanted someone different. Not better, but different, and this is the darkest woman that has ever been in a Star Wars. Jonathan Kasdan: Absolutely, and the thing about that sort of femme fatale and the different woman is that there was a moment — and we applied this litmus test to everything, which is, “What haven’t we done yet in Star Wars?” And it makes the job of continuing to write these movies challenging, and I empathize with anyone who has to go forth and write one or three of these movies in the years to come. There are increasingly fewer things that haven’t been explored in these 12 movies or whatever it is. To create a female character that didn’t fit this mold of the sort of warrior princess, and was a different kind of character, and related to people differently, and used her power differently, and was intellectually superior to our male characters in a lot of ways — almost always… It was a fun type that we hadn’t seen and we were both drawn to writing a woman, a female Star Wars character, that really broke the mold from the ones we’ve seen. And we tried to do it again with L3-37 and Phoebe [Waller-Bridge]. We really saw an opportunity to add a character to the canon, a female voice that was different from the ones we’ve seen, and a really specific point of view and could be a different kind of sound for the trilogy. And that gets harder and harder as there are more and more of them. Jonathan Kasdan: For me, it was an education as a writer. Both in the sense of working with my dad, and getting the benefit of his talent and humor and his muscularity as a screenwriter, something all screenwriters strive for — to be more economical in our writing. But also in the grind of actually making one of these enormo movies, the amount of input from various people you need to process and apply to the script while simultaneously staying true to your own values and sensibilities as a writer and protecting the things you believe have value in the script, even if they’re not readily apparent to everyone. That juggling act, and push-pull, is the most challenging part of this job. Being able to process everyone’s thoughts and opinions and apply them in a constructive, positive way even when you don’t necessarily agree with all of it. 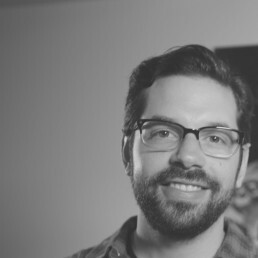 Jonathan Kasdan: You know, because Star Wars is almost…sacred, like a pop culture-version of the Bible, it never occurred to me as a kid to question what happens in the original trilogy. To me, that was just how it went down. And while yes, Boba Fett’s death, specifically, in retrospect, was incredibly lame, I always just thought of that as just what happened to Boba Fett. I will say that both my brother and I always encouraged our dad to return to Star Wars. Our feeling was that this stuff is such a huge part of the culture, these movies are seen by so many people around the planet, and we both felt that his impact on the ones he worked on was so positive, that him returning to Star Wars virtually qualified as public service. He was reluctant to do so for several decades, but we finally got him to go back to it, and we’re both proud of that.